Tokyo, April 12, 2017 – Subaru Corporation today announced that the all-new 3-row midsize SUV, which is currently under development, has been named “Ascent”, unveiling a design concept car “Subaru Ascent SUV Concept” to preview the all-new SUV at the 2017 New York International Auto Show. 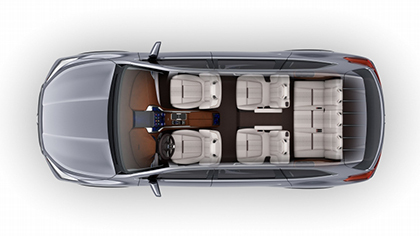 On its exterior and interior design, following the Subaru’s “Dynamic x Solid” design theme, Subaru Ascent SUV Concept shows full 3-row capability and functionality which is true to Subaru. 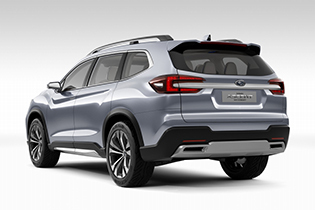 The Ascent production model will be based on the Subaru Global Platform and employ features such as a newly-developed Boxer direct injection turbo engine. The model will be built at Subaru’s US plant, Subaru of Indiana Automotive, Inc., being introduced exclusively to the North American market in 2018. 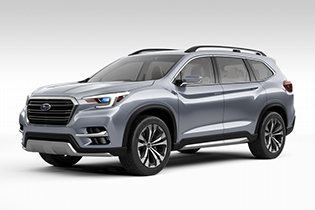 The official Subaru website (http://www.subaru-global.com/ms2017/newyork/） will feature images of the Subaru Ascent SUV Concept as well as a movie of the Subaru press conference.